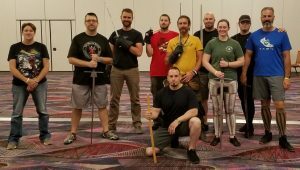 Russell T Mackler of Viñas Arnis was invited to teach at Combatcon August 10-13 2017. 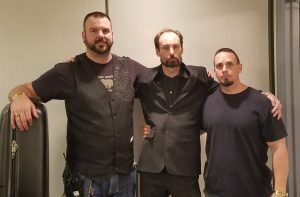 Combatcon is an annual convention for martial arts, stage combatants, stunt professionals, experts in tactical combat and personnel protection, and professional authors. There are classes, demonstrations, HEMA (Historical European Martial Arts) tournaments, and many other activities. The event was held at the Flamingo in Los Vegas Nevada. As a part of the event the Viñas System was able to participate through teaching a couple of classes. This included “Controlling the Fight” and “Knife Disarms”. What does it mean to “Control the fight”? The class was intended to provide strategic thinking and tactics enabling you to manipulate your opponent as to reduce risk for yourself while increasing the risk of your opponent. Principles and concepts were discussed with examples and opportunities to practice items learned. 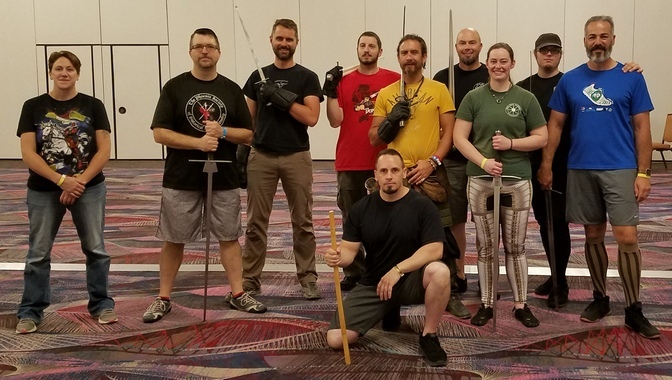 Some of the items discussed included: Centerline control, baiting, deterrence, deception, and structure associated with fighting with an edged based weapon (Sword). There is more to learning disarms then just removing a weapon from your opponent, such as how do you get to a disarm, what happens when your opponent doesn’t comply, and other facets to enabling disarms. The class provided principles, concepts, techniques, and drills associated with disarms. It provided a holistic view while also providing details to enable disarms. Some of the items discussed included: Risk reduction thinking, weak points to enable disarms, thumb control, elbow control, locks, distractions, edge awareness, etc.. The 7 basic strikes were taught which then enables the disarm entries T-Block, X-Block, and Double Tap. Body structure was also discussed. Richard Marsden of Phoenix Society also taught Polish Saber and Russell Mackler and Adam Simmons helped as assistants. Phil Martin deserves a huge congratulations for getting a bronze in the cutting tournament. Kyle Griswold deserves a lot of respect for having the best run Sword and Buckler tournament to date. 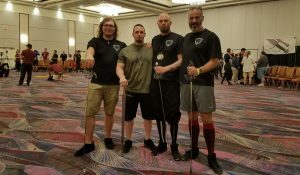 I also hung out and supported Shawn Fackler, Tristan Fackler, and Alfredo Velez associated with Loyal Order of the Sword. Congrats to Shawn for an outstanding performance in rapier and sword in buckler were he won a Silver and Bronze. We would like to thank Richard Marsden, Adam Simmons, Chris Nelson, and Phil Martin for enabling us to attend and be apart of the community. We would also like to thank Combatcon for having us. And finally without the Viñas family I wouldn’t be here, thank you Grandmaster Nonong. Visayans Combative Arts Seminar featuring Pinakatay Arnis and Viñas Arnis, two traditional systems that are distinct in their own right. Nov. 20, 2016. Hello FMA enthusiasts! Master Mackler of Viñas Arnis and Kuya Wesley (aka Bunal sa Engkanto) of Pinakatay Arnis Sigidas want to express their gratitude for those of you who joined the first joint seminar conducted in the Phoenix area. These two systems originate from the Visayan region of the Philippines with Pinakatay Arnis Sigidas coming from Cebu and Viñas Arnis coming from Bacolod. This initial seminar was intended to introduce these systems to the Phoenix community while also providing an opportunity for other FMA practitioners to establish an understanding of some deeper principles within these two systems. The seminar lasted over four hours and was broken out into one hour segments with small breaks in between. Content taught was divided between Master Mackler and Kuya Wesley switching each hour. 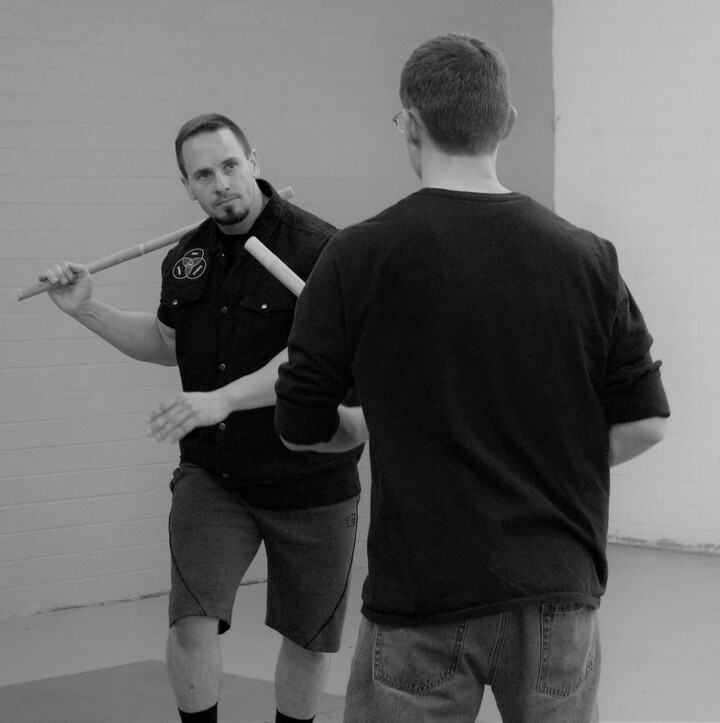 They both worked together demonstrating the importance of promulgating Filipino Martial Arts while also enabling and supporting each other’s specific system. The Viñas Arnis system was taught the first and third hour and the Pinakatay Arnis system was taught the second and fourth hour. Master Mackler started the seminar with a quick introduction of Viñas Arnis. He discussed the linage starting with the late founder GM Joe Viñas and the first inheritor and current GM Wilson “Nonong” Viñas. The founding location and date were mentioned, Talisay in 1932 with the system quickly moving to Bacolod Negros Occidental soon after. The more well-known club name was also mentioned, “Lapu Lapu Viñas Arnis”, with a founding date of 1963. It was explained that the North West area of Negroes Occidental had a rich culture with many different systems old and new. Examples include older systems such as the “Tolosa System”, and the “Serfino System” to more morden system such as Tapado, Yasay Sable, Oido De Caburata, Modern Arnis, and others. After the quick introduction Master Mackler’s first hour was focused on an introduction to the Viñas system. This included topics such as starting positions or “guards”, the initial basic 7 strikes and their association with points to strike on an opponent, and then the intermediate 7 strikes and their association with circle quadrants and elevation. With each part taught principles and concepts were injected into the curriculum with drills added in to reinforce each idea. The third hour introduced more advanced principles and concepts such as evaluating risk, distance and timing, reading your opponent, and how to cut your opponent without being cut. These were reinforced using the initial and foundational items taught within the first hour while adding in continued footwork and flow drills. 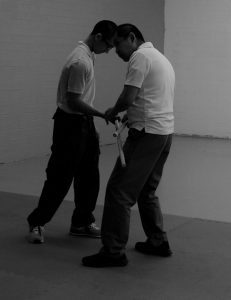 The drills were meant to allow for some flexibility in a freedom of movement to emulate a more realistic sense of fighting. The importance of continued movement through foot work was emphasized. Kuya Wesley then came in and introduced his system into the second hour of the seminar. 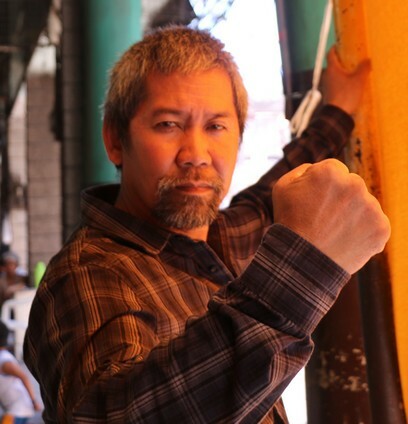 He introduced the lineage of Pinakatay Arnis Sigidas (PAS), what PAS means and what it stands for. He shared how PAS is a “continues flow system” used best effectively in close quarter fighting using its unique multi-angular lines of attacks with the “witik/pitik” method of wielding the stick in succession at a very fast speed. He taught the system in a “crash course” style as his intention was to expose the audience to the depth of the system. Even though the seminar was original meant as an introduction of basics, Kuya Wesley felt it important to also share advance principles and concepts. What is normally learned over years within the system was taught in this one seminar for the sake of exposure and knowledge exchange. He further showed how unorthodox the movements are and how bluffing/deception is one of the essential skills developed in the system. He explained the principles of parallels, the fraction techniques, the segmentations and the bizarre motions that would make any participant wonder what else is next. He went into disarms that are very common, explaining and breaking down the details and principles for anyone to consume. 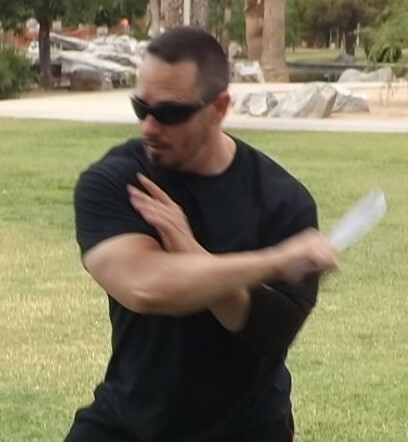 He also covered PAS footwork used, the body motions used in generating power while in “witik” mode, an introduce to the concepts of unblocking any block, and the use and importance of the free hand and the weapon hand, and the use of elbows and palms to clear well protected areas of the opponents body to penetrate a stinger strike or a kill strike. At one point Kuya Wesley was asked how power is generated from a simple witik at which point he demonstrated the proper mechanics and power of the strike. In the fourth hour Kuya Wesley went even deeper with the PAS system. He started by mentioning the essence of fighting intelligently as a key in gaining an advantage in any engagement. He demonstrated how unorthodox angles of strikes are executed and mastered. He made it clear that the PAS system masters movements that are awkward and looks seemingly ineffective while in actuality become efficient and powerful. He explained the importance of practicing with live and dynamic partners to fully understand and appreciate the PAS system. He expressed his belief that without a realistic set of training that practitioners might be missing opportunities to really understand the depth of knowledge being taught to them. In the end Kuya Wesley used analogies, examples, drills, and free flow engagements to drive home every piece of knowledge shared about the PAS system. 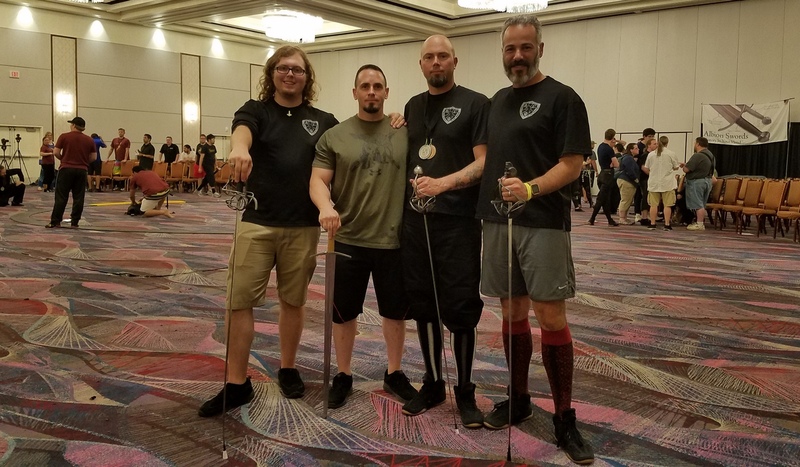 It was clear that Master Mackler and Kuya Wesley have a lot of passion about their systems and the desire to help and promote Filipino Martial Arts. There will be more seminars and they look forward to sharing their knowledge and invigorating new and existing practitioners.